Are you ready to chow down a bunch of Peanut Butter cookies!? You'd better be, because today is National Peanut Butter Cookie Day. Perhaps the biggest promoter of peanuts was George Washington Carver. He wrote about growing them, and importantly, in 1910 he published a book with 105 recipes using peanuts. And, you guessed it........ his cookbook included a recipe for peanut butter cookies. 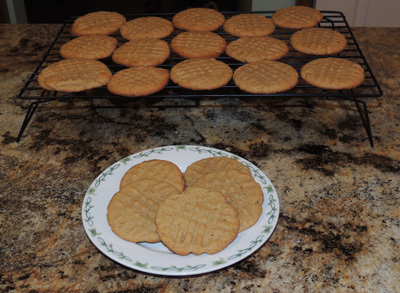 Since then all sorts of people have created a wide variety of recipes for peanut butter cookies. Celebrate National Peanut Butter Cookie Day to the fullest. 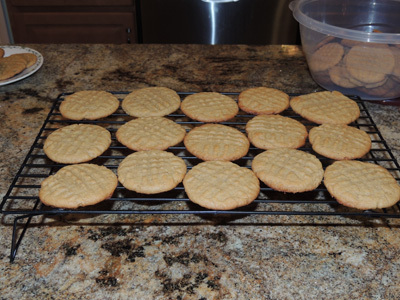 Start by baking your own batch of homemade peanut butter cookies. Then, chow down, with a glass of milk on the side. .Ps You get extra points from the boss, if you make a batch and bring them to work today! Our research did not find the creator of this special day. We also did not discover when this annual tradition began. It appears to be fairly recent, sometime after the turn of the century. Like so many recent holidays, the title calls it a "National" day. However, we found no documentation supporting this to be a formal "National" day, which requires a presidential proclamation, or an act of Congress.